Translation of an interview by Sergey Dadigin (SD) printed in the Russian language publication “Express Gazeta” on January 30, 2008. Not long ago spectators in the stands applauded Oleg Ovsannikov (OO). But at the beginning of the 21st century, Oleg, a two time World Champion in ice dancing, somehow unnoticed left Russia and no one heard from him. And now his unexpected return. Oleg waved goodbye to America. He reappeared as the chief coach of the Russian national synchronized skating team. It is not an Olympic sport, but it is very beautiful. Also, Oleg is responsible at the Russian Figure Skating Federation for dances on ice. He may have never returned to Russia, if he hadn't played soccer with a group of friends. SD – Oleg, it was said that you received a terrible trauma. What happened? OO – I was playing soccer and after jumping landed in a hole and twisted my foot. As a result I had four ligaments torn in my knee and nerve damage. I spent 6 months on crutches. All of that happened in America. My knee healed, but I had to pay a lot of money for the treatment and lost half of my assets. SD – Why was it that bad? Didn’t you have insurance? OO – It is possible that I was at fault myself. The doctor for a long time could not find out what actually happened – the damage was very serious. Three times I was placed in a special barometric chamber and my knee was studied under a microscope. It came out later that the barometric chamber was not covered by my insurance! I was not told about it upfront and found it out only when I received a bill. I almost fainted when I saw the bill. My situation was tough. I could not work as a coach, lost up to 80% of my business, my wife just gave birth and we decided to go back to Russia. Thanks to Figure Skating Federation president Mr. Piseev, who promised to support financially my second operation that is scheduled for April. Now I can move without support, but I still feel pain in my knee. SD – Where will you have an operation? OO – Most probably in Germany. Oleg Ovsannikov, while being an amateur sportsman, was skating in a pair with Angelica Krylova. 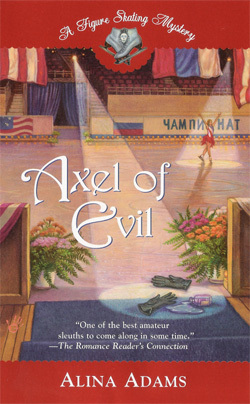 They were just partners, but Oleg was crazy about another figure skater – Elena Sokolova – a silver medalist of 2003. Oleg did marry an Angelica, although not Krilova, but Kirchmajer. SD – I wonder how you met. OO – My wife was born in Riga. Her mother is an Austrian and her farther is a Latvian. 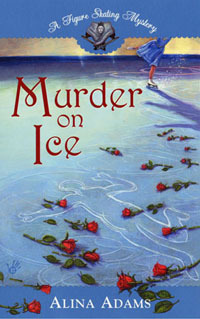 Angelica was also a figure skater; she was dancing on ice with Dmitry Lagutin. They were Junior World Champions and skated in the group of Natalia Linichuk, as we did with Krylova. When the Soviet Union broke down, she was facing a dilemma which citizenship to choose. She selected Austrian. Incidentally, our daughter will have dual citizenship – Austrian and Russian. SD – Oleg, which figure skaters did you work with in the USA? OO – It was very hectic there – some were coming, others were going. Together with Artur Dmitriev, Olympic Champion in pairs, we once brought to Moscow a couple of skaters from the US for participation in the Grand Prix. I used to coach everyone who would pay for the lessons, especially if parents were wealthy and could afford it. It is customary in America. SD – Do you keep in touch with Krylova by phone? OO – She moved from Delaware closer to Detroit. In September of last year she had a second child. Now she has a son and a daughter. 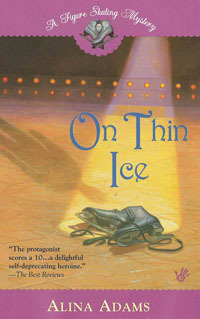 She lives for many years with a former Italian skater, Pasqual Camerlengo. SD – I remember that Angelica was planning to marry another Italian – a former soloist of LaScala and a famous choreographer. Would you know why they separated? OO – Maybe there was a big age difference, or they did not get along well. SD – When you came back to Russia did you want to meet with Elena Sokolova? She just announced that she was leaving figure skating, while she could be still one of the best European skaters. OO – No, we do not communicate with Elena. When we were together, she won the silver at the World Championship. I must have had a positive influence on her. Later she started having weight and other problems, but it was all after me.